A screen, a mouse, and a keyboard. This trio has not existed yet in the minds of the people who have lived when Benjamin Franklin was just a baby, when Blackbeard was still a real-life pirate and not just a fictional character in a large movie franchise, and when scientific explorations have only extended to discovering oxygen. However, even when the timeline has majorly shifted and the toy that children of this new age knows before they can say their first word is a smartphone or a tablet, there are still some individuals belonging to diverse generations who remain inexperienced at how this technological invention works. Thus, if your designated teacher is running out of ways to educate you about the basic skills you need in order to navigate the computer successfully, this is the article that’s worth reading for you. Below are 4 computer skills everyone should master. The mouse is an external device attached to the computer with or without a wire. It has left and right clickers, and sometimes there is a scroll in the middle for ease of going up and down the page. Other than learning how to switch the computer on, you need to know how to use the mouse, as this control a good portion of the actions you can execute. This will not be necessary if your gadget is touch-sensitive (a.k.a. touchscreen), but you should understand that not all computers and laptops have this feature. This is the reason why whether you choose to start your basic computer skills lessons today or next year, learning the right way to use the mouse is inescapable. The device, in simpler words, is what you use if you want to point or click on a link, a program or a file. The cursor – usually an arrow – will tell you where your mouse is. For instance, if you want to open a document, you have to move the cursor on top of it, and then double-click on the button at the left side of the mouse. Right-clicking on any screen, moreover, will give you other options to go back to the previously opened page, print what is on the current page, reload it, save it, and many more. Touch typing will enable you to form words on the computer screen faster and in a relaxed manner. What the term means is that you will type by simply feeling the keys for the alphabets and numbers without looking at them throughout the entire time that you are typing. You will also finally be able to differentiate yourself from your friends who, until this moment, can only do one- or two-finger typing and take a full minute to find the letter they are going to add next. This typing skills train you on how to utilize all of your fingers on the keyboard, with ASDF and JKL; as the home locations of your fingers. When you get past the preliminary awkwardness of finger positioning, you can begin gaining top marks in various websites which are all designed to test how quickly and accurately you can type a paragraph in one minute. 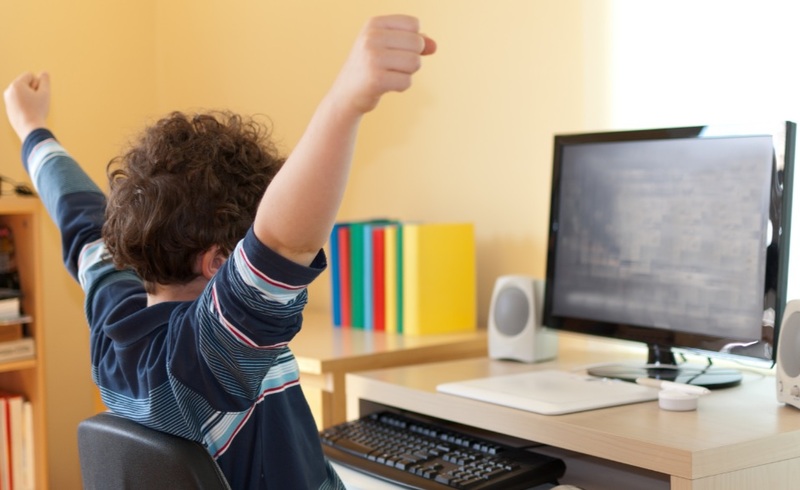 Do well in those assessments, so that you can finally say that you are a touch typing master. Some people, once they have finally mastered the first two skills, gain the nerve to open their browser and download any music, video or picture they like. Yet, if they accidentally close the browser, it is like they suddenly faced a dead-end – they do not know where else to find their files. It’s the same when they have typed a presentation or a document, and they just clicked on Save without paying attention to which Folder they have saved it in. Well, in troubled times like this, the Search box is your best friend. You can master this skill easily, since its principle is very straightforward – you only have to copy the file from one place by right-clicking the mouse and hitting Copy or using your keyboard and pressing on Ctrl (Control) and letter C at the same time, and then paste it to the folder of your preference. My name is Adam Fort, I’m an education strategist at Ratatype.com. This project helps children and adults to learn touch typing via an online typing test and lessons. I am in charge of developing the proper typing lessons and exercise for typists who want to improve their typing speed. I also have a commercial pilot’s licence which I’m proud of.